Hello followers! today we show you a really challenging app! Escape Logan Estate is a very entertaining app in which resolve several logic games! You have to resolve though different chapters like a “video game story” jigsaws to continue in the game! It has 3 chapters, it is recommended from 9 years and up (but we suggested from 12). We hope you like it! Have a nice week! This week we suggest you a very entertained app to train Planing and problem-solving. It has different levels of difficulty. We recommend it from 16 years old and up. 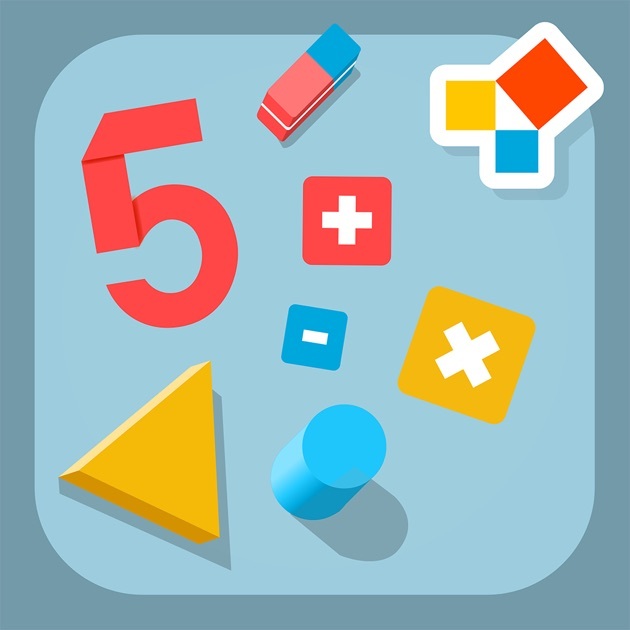 This week we recommend you a package of apps designed for the learning of math basic concepts. All the apps are based on the method designed by the educator and doctor Maria Montessori, based on her study on children with special educational needs, is characterized by focusing in the child, his aptitude to discover the world by practice, with the supervision and the envitonment adjustment by the teacher, depending on his level of development. They are useful for children from 4 years though they can be used to work with children with discalculia. we hope you like all of them! This week we show you and app developed to train attention, memory, visual perception and cognitive flexibility. The games that we find more interesting are the one which requieres mental flexibility, use of alternative strategies to solve a situation where you are required to figure out how to solve it. For instance, you see different animals on the screen and the instruction is “feed all the animales” you have to find a solution, in this case, you have solve it by feeding animales with other ones lower in the food chaine, a reasoning that you have to find out by your own. By training mental flexibility we improve covergent thinking (logic) as well as divergent thinking (alternatives solutions), a process strongly related with creativity. It is an entrertaining app that also provide you a score an feedback of your performance. It has different levels of difficulties. Are you good on planning and logical thinking? We dare you to try “Number Link“! Though this app we can train executive functions (planning, reflesive thinking…) and logic thinking as well. The instruction is simple: connect numbers without leaving empy spaces. There are several levels of diffulty. This week we show you an app based on the clasic game “Master mind”. In this game there are on table with docts for putting some pins of different colors (5 options). One player decide wich combinations to pins for a table (“secret code”) and the other player has to trying to find out that “secret code”. On different trial this player will punt some pins and the other one will put a white pink on the right side to let the other player know which ones are correct. It can be played individually agains the machine. Throught different trials the player has to discard the colors not possibles according to the other player feedback. Logic thinking (decuctions and strategy) is strongly required to solve this game on few trials. We recomend it from 10 years old and up. Today we suggest you a very entertaining app that will test your logical thinking! Logic safari will make you solve challenges following rules, for instance, the problem of the gacelle, lettuce and the lion: a boatman has to tranfer the gacelle, lettuce and the lion one by one to the other side of the shore. Gacelle should not eat lettuce, lion shoud not eat the gacelle. On “safari” part we has to solve this kind of challenges, on “elixir” we need to get bottles to unlock challenges, the way to do it is by solving locic exercices (sequences such as: 2, 4, 6, 8, …, 12, 14, to infer numerical values through equalities among symbols, etc.). 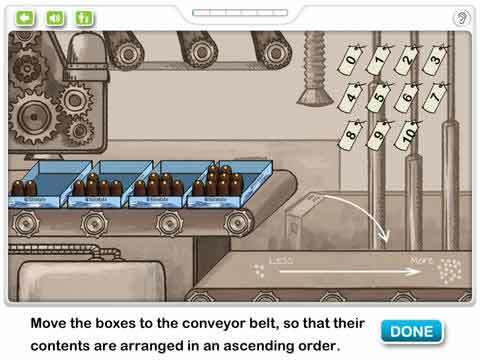 With this application, we foster reasoning and executive functions such as planning, sequencing or cognitive flexibility among others. It is very entertaining and free! we recommend it for adults or children up to 12 years old. New week…New challenges! This time we recomend you a free app where you may find exercices to train attention, maths, logical thinking and memory. It has several levels of dificulty (easy, medium and hard) and 4 types of exercices for each area. It fits quite well to adult level or up to 12-13 years old according to difficulty. Some concentration exercices examples are the one where to find a different figure among others very similar (time score so we can also train processing speed), memory exercices such as, for instance, memorise a sequence of images and tap the one that is missed after solving and equation (which is and interference). Another example of logic exercices would be the ones where estimate visualising some balances which is the most heavy or lightweight, or maths exercice such as compare operations to discern whether result of one would be higher or lower, exercices of estimation and so on. Good morning everyone! 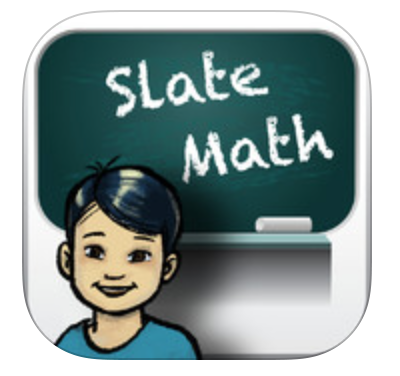 This week we show you a very complete app, “Slate Math”. It is an application for Ipad, in which children train multiple mathematical processes across 38 playful activities. It is designed for children up to 6 years, though it is ideal for children with discalculia. In addition, it can be used to train other cognitive processes as selective and sustained attention, reasoning and problem solving. It contains activities of counting, exercises of major – equally – minor, writting numbers, etc. It is totally free, so we encourage you to prove and play with it.